My husband Leon knows about only 4 weeks before! 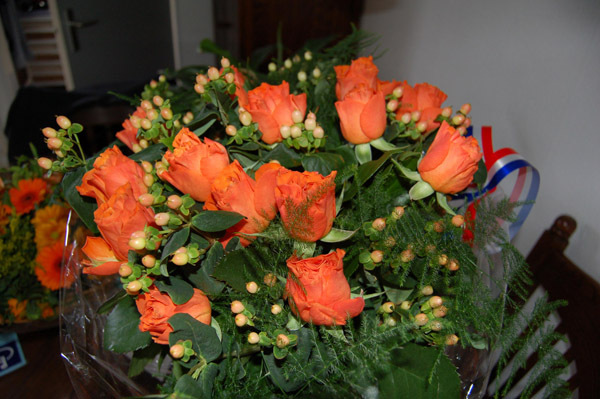 The request for this award is started on 21-06-07 by my brother Edwin and my daughter Leonie. 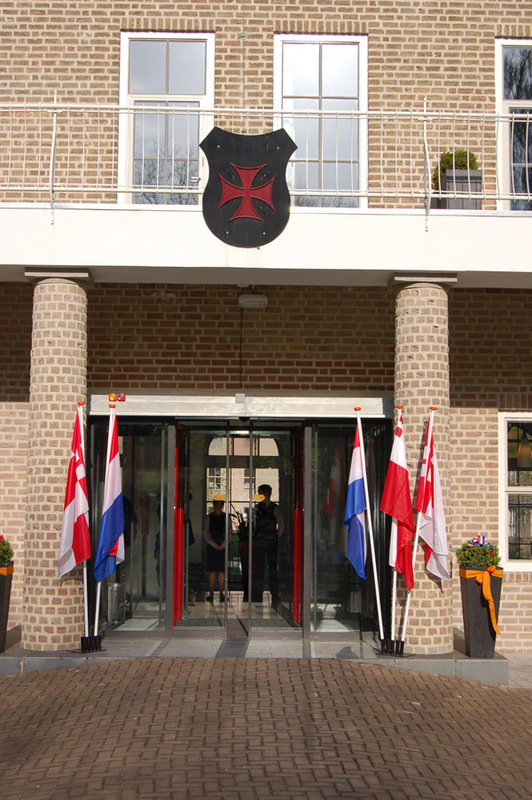 They need some letters of recommendations of my volunteer-works with a minium of 20 years serried.Then they send these to the father and aldermans of the city Amersfoort, where I live. At the same time they also have given notice of my activity para-agility national and international and the organising of the IMCA & PAWC 2006 in Amersfoort, the Netherlands. For this last activity I have recieved this award and I'm very proud about! 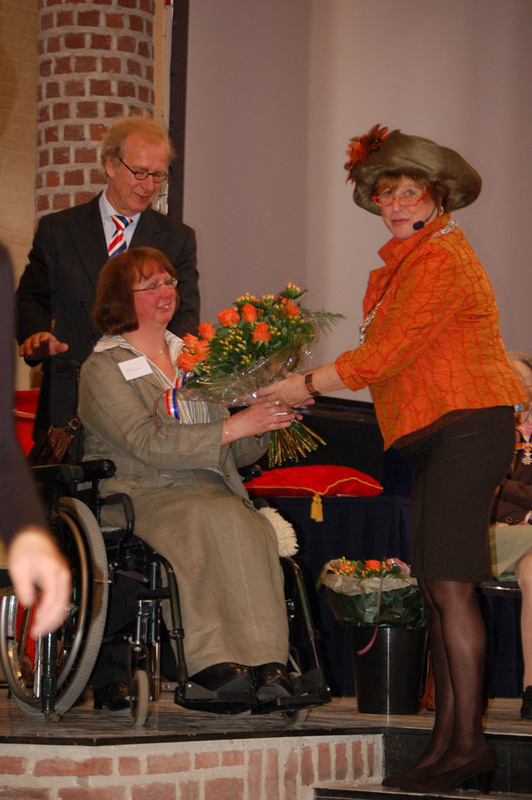 The presentation of the awards was organised on a very nice conference-location named by : The Cloister in Amersfoort. A very nice place decorated with flags and a lot of orange flowers.....and the sun was shining! 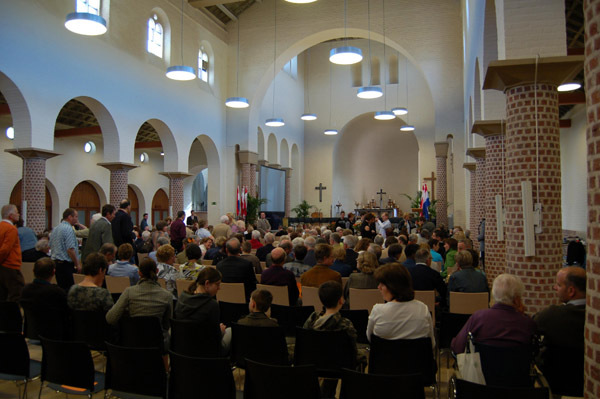 It was a very official programm and my brothers and sisters, parents and my daughter Leonie with her friend Rudi was also there. 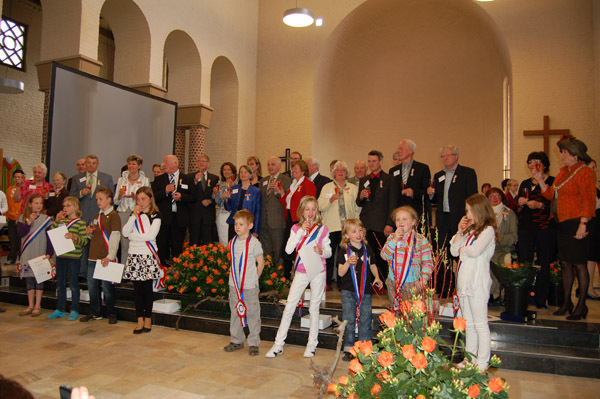 Total 21 people from Amersfoort (of which 5 from Hoogland the part I also live) who have recieved the award and a lovely bouquet of orange roses from the father of Amersfoort Ms. Albertine van Vliet-Kuiper in name of the Queen of the Netherlands. 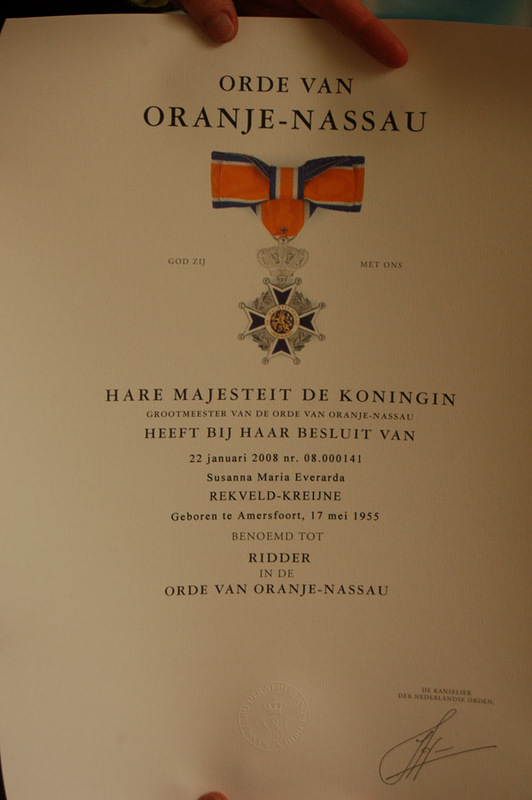 Even 11 children obtain an order of knighthood for special activity from the city Amersfoort. Of course at home a bottle of champagne..we have to celebrate!! Not all my brothers and sister could stay, because they have to go back to work. 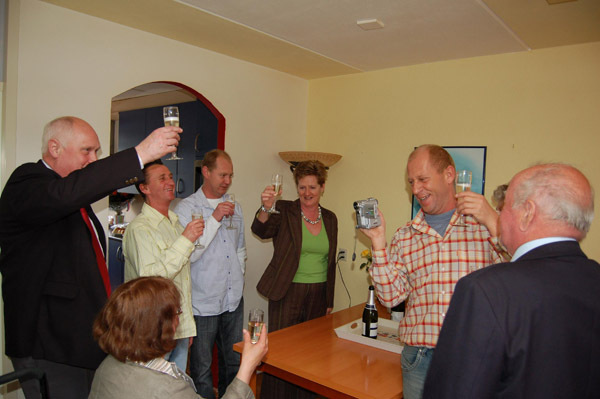 Later we have make a little party with all together! 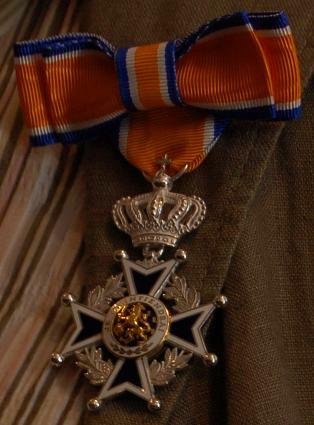 The medal you cann't wear anytime, only by special opportunity official. I put him between the cups in my price-cabinet! Always my husband Leon go with me, without his great help I cann't realise my activity para-agility. I think ít's an award for both of us! !